Piritees was born as a self-expressive apparel line for the bold, and unapologetic person. Founder Sandra Martinez, also known as "Bibi,” originally created Piritees, as an anti-gentrification apparel line to address the inequalities occurring within her neighborhood of Spanish Harlem, and other marginalized communities around the country. 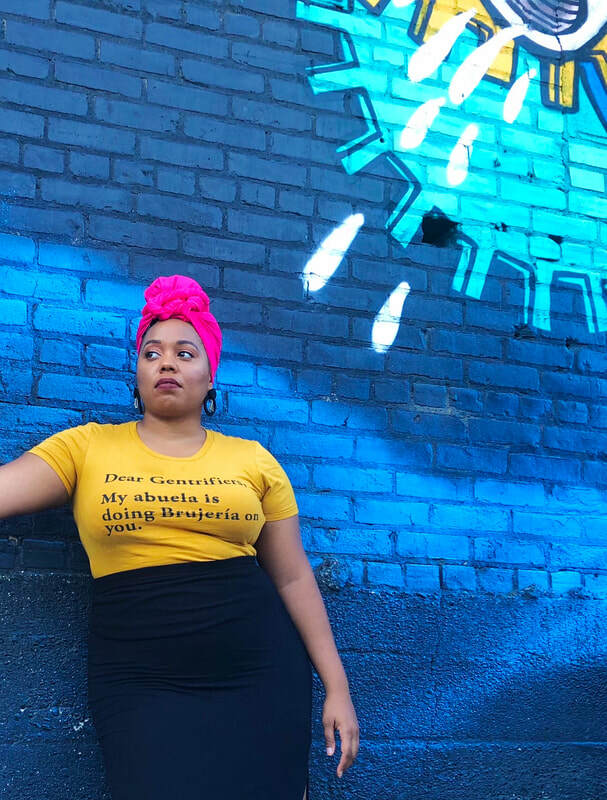 However, her bold apparel line has quickly grown to highlight other issues she is passionate about such as: mental health awareness, selfcare, women rights, and things that celebrate her Afro-Caribbean culture. It’s also Bibi’s love for statement t-shirts that led her to create a brand that speaks out against social injustices, and celebrates people of color. In a nutshell, Bibi expresses how she feels on a shirt. She hopes you like what she has to say, and if you don’t, she’s still going to say it anyway. When you purchase an anti-gentrification apparel you’re rebelling against discrimination, classism, and racism. While, also, taking a stand for equality, affordable housing, and community preservation. In addition, Piritees will be donating a percentage of the proceeds to anti-gentrification organizations based in NYC. ​When Bibi is not fighting against injustices, most days you can find her at home reading, listening to podcasts, practicing self-care, traveling, or spending quality time with her family + friends. She’s an Afro-Latina of Puerto Rican and Dominican descent from El Barrio, NYC. She received her Bachelors in Psychology from SUNY New Paltz, and her Masters in Social Work from Stony Brook University. She currently works part time as a LMSW at a non-profit in the Bronx. If she could, she would spend all of her money on food, traveling, and supporting Black + Brown businesses. She lived in Jamaica for 8 months, where she met and married her husband. She's been a vegetarian for 10 years. Her dream goal is to open up a community space that helps facilitate healing for people of color.